Our present position is the bridge between, but we have yet to discover it - because we are building the bridge while we are crossing it. The above is one of the quotes made by the several voice samples that are woven into the new CD Approaching Silence by David Sylvian. The album aptly espouses the feeling of wonder, contemplation and discovery that this statement (probably the processed squelch of Robert Fripp) was meant to bestow upon the recipient. 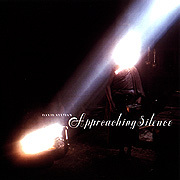 The three tracks that make up Approaching Silence were originally created as soundtracks to accompany art installations in Japan. 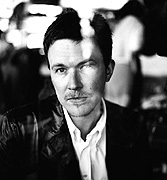 As with his previous instrumental release, Plight and Premonition, the new CD feels the effects of Sylvian's collaborators. Joined by soundscape philosopher Robert Fripp, minimalistic percussionist Frank Perry and sample collector Holger Czukay, Approaching Silence wanders through an enlightened world of sound and ideas. The album offers the sleeping listener, as well as those more awake, an interesting passage. The music is comforting yet exotic, minimal yet engaging, intricate yet ambient and as fascinating as the concept that created it.